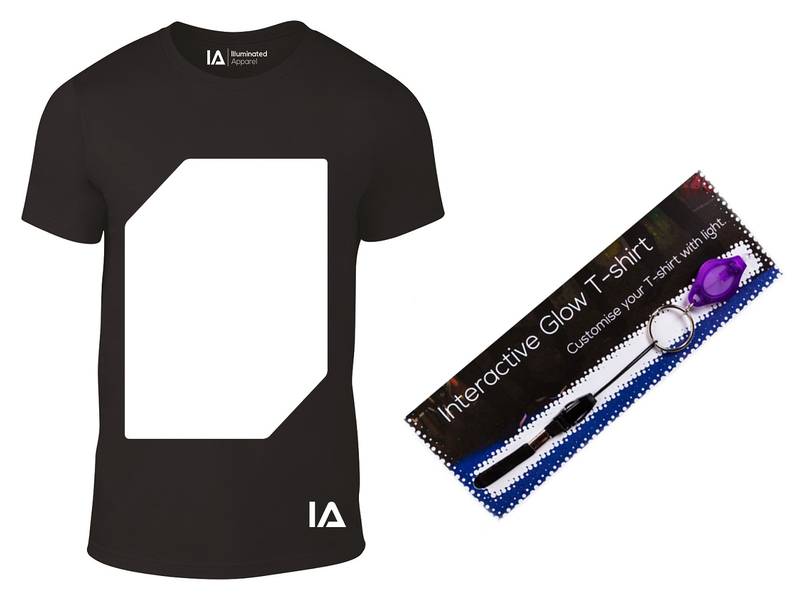 Are you planning a night on the prowl, but you don't really know what to wear? With this trendy shirt, you can leave home and decide later. 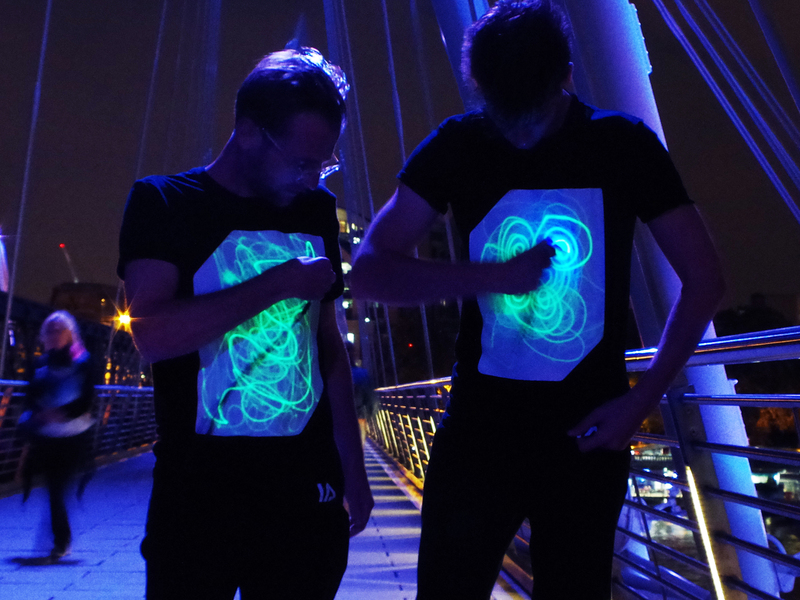 The white surface on the front of the shirt glows in the dark and you can write on it with light. 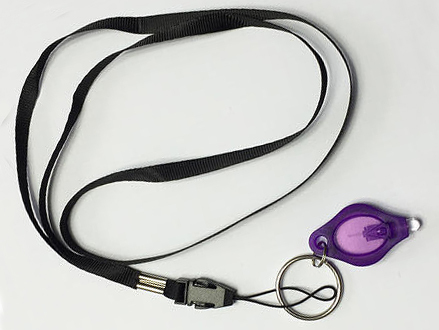 Using the included UV key chain, you can write, draw and doodle to your heart's content. All your creations - or those by your talented friends - will glow for 5 minutes before they slowly fade away. 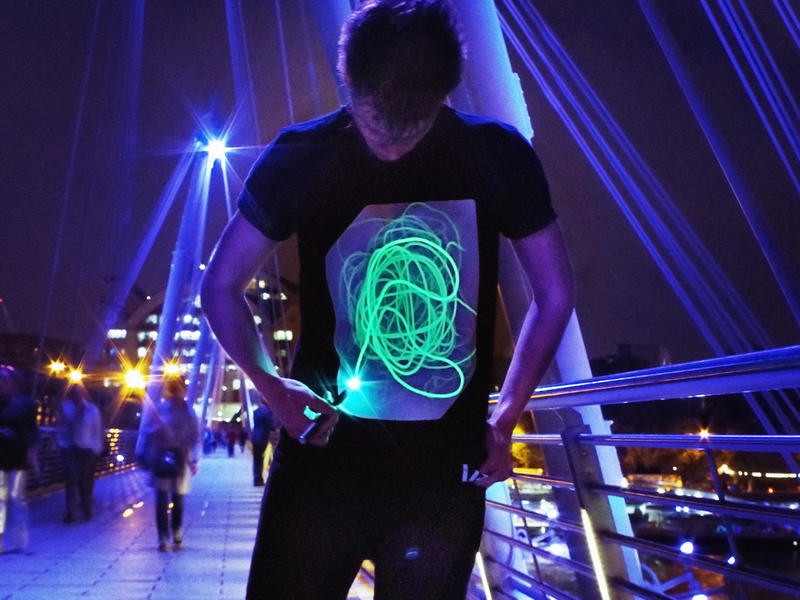 And you can even use the shirt with other light sources, such as a laser pen or your smartphone's flashlight.